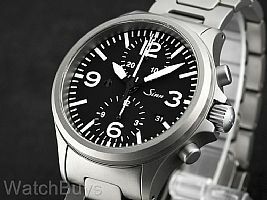 The Sinn 756 Chronograph is among the most popular Sinn watches for a good reason - its clean design and highly legible dial differentiate it from other chronograph watches. 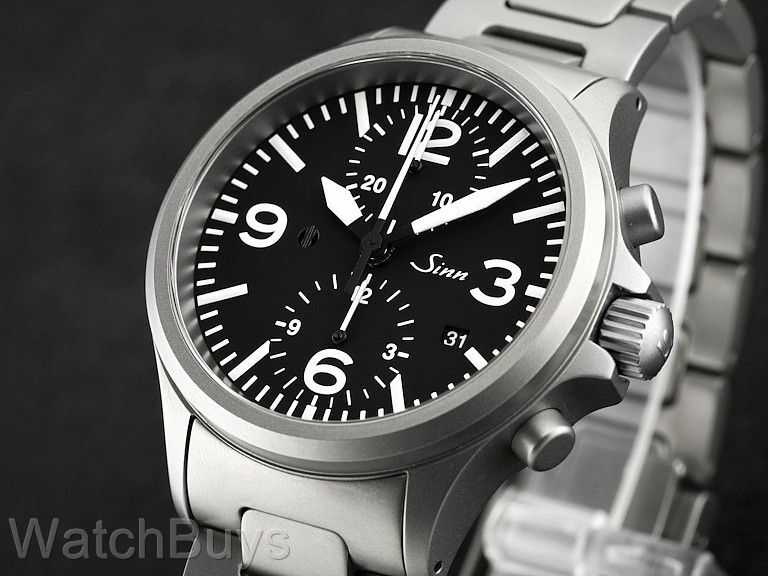 Sand-blasted stainless steel case with solid back and tegiment steel bracelet. Dial is matte black with Arabic numerals and offset date display at 4. The design and layout of this watch make it extremely easy to read in virtually all light conditions.